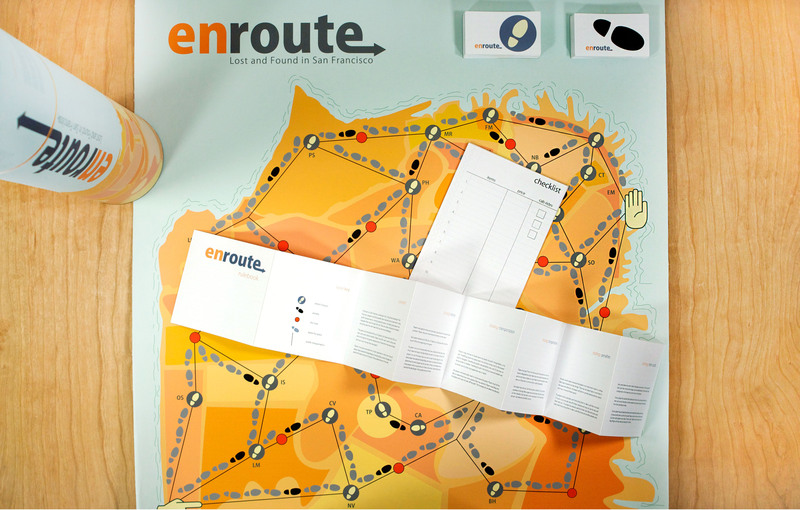 En Route is an original San Francisco scavenger hunt board game developed in collaboration with another designer. The concept was born from our desire to explore this exciting city. A simplified map with iconic illustrations printed on canvas was created to guide players through the game board. 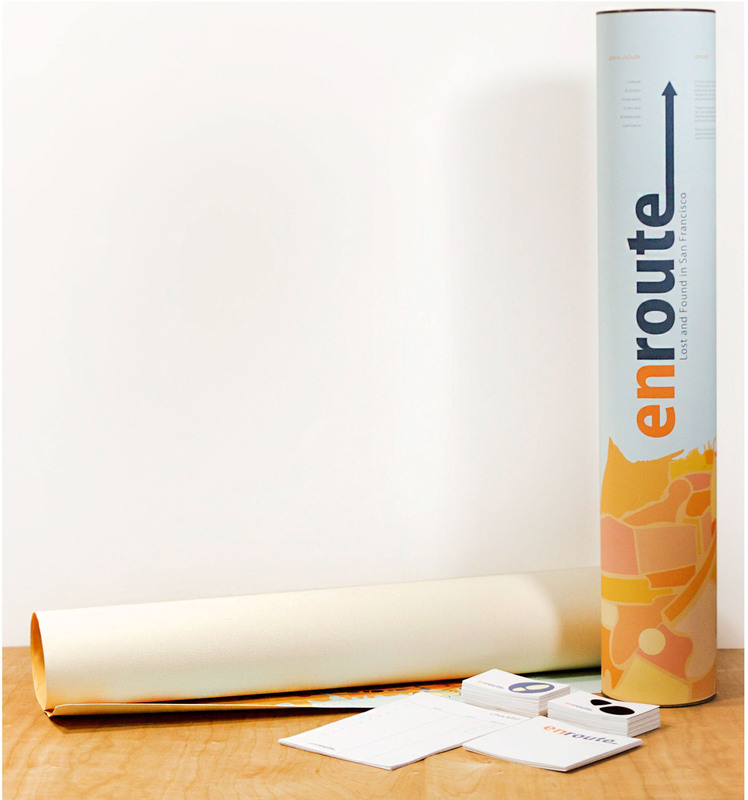 The tube packaging creates an easy and fun way to carry and share the game with others.